Begin and end your day with a jumbo mug-o-Muse! 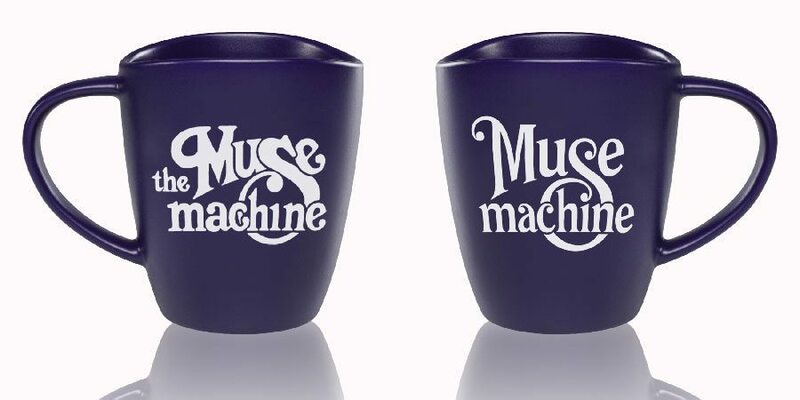 Matte cobalt blue, stoneware, 25 oz, stylish crescent mugs feature the current Muse Machine logo on one side and our “retro” original logo from 1982 on the other. It’s large enough to contain two typical, mere mortal cups of coffee at once (or tea, soda, candy, office supplies, sea monkeys…). These mugs will be strictly for pick up at the Muse offices (next to the Victoria Theatre, downtown Dayton) beginning 12/22/16. We can often provide curbside delivery during selected hours.